Although a large number of American's live in apartments in New York, Los Angeles, DC, etc., many of them do not have the basic items necessary to assist them during a power outage or emergency situation. That is why Akar Logistics® has created the ES Apartment Safety Kit™. This kit was developed to Akar Logistics's exacting standards of quality, durability, and high visibility. 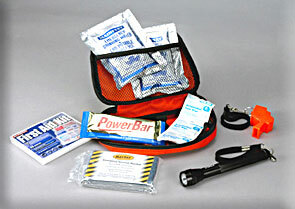 The kit is also designed for easy retrieval during an emergency for one person. Every apartment dweller should have an emergency kit on hand, and this kit is designed to make a difference when it is needed most.